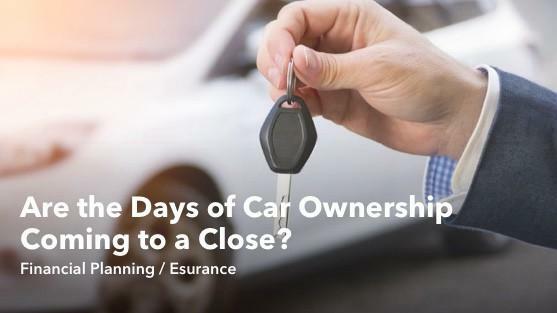 Are the Days of Car Ownership Coming to a Close? 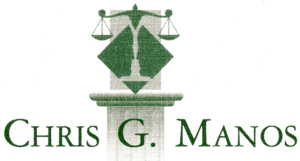 Manos Legal Services > Bankruptcy > Are the Days of Car Ownership Coming to a Close? Self-driving vehicles are coming much sooner than expected — and the general consensus is that car ownership will bid us farewell. After all, with a dominant ride-sharing model in place, upfront purchase prices and ongoing maintenance costs seem less appealing. On top of that is the surging trend around “access vs. ownership,” where the car-owning value proposition is taking some real hits. In the future, getting around will be much easier and cheaper, and the hassle of owning a vehicle may quickly outweigh the benefits. What’s more, as driverless taxies become ubiquitous and accrue revenue 24/7, their prices will only drop. Researchers at consulting firm KPMG similarly predict that by 2030, households will no longer need sedans — only keeping larger vehicle models for road trips — and that fully autonomous vehicles will be used as ride-hailing services from the outset. Anticipating the upended car market, Waymo and General Motors’ already have pilot ride-hailing programs in the works, set to launch in select urban and suburban areas. Likewise, Ford bought out their ridesharing company, Chariot, as part of their self-driving vehicle initiative. Further, public officials in Helsinki are pushing to make car ownership obsolete by 2025. Don’t believe how big a business this is? Just look at the rift between Google and Uber — and the nose-bleeding $245 million settlement over alleged “trade secrets” in 2016. Autonomous cars are big business…and all the tech firms want in. But while logically sound, these forecasts focus heavily on the economic disruption caused by full automation, not so much the cultural implications. For instance, few consumer goods have profoundly molded our cultural ethos as much as the automobile, and the majority of Americans are still wary of self-driving cars — not to mention a slew of other important factors. How Is Safe Safe Enough? Critical to the success of automation is proving that it’s safe. Although researchers say it’ll reduce auto accidents by a whopping 90 percent, “better than human” might be a weak benchmark when you consider that people have a greater tolerance for deaths caused by humans than robots. For this reason, Mobileye CEO Amnon Shashua proposed a formula to ensure self-driving vehicles are virtually infallible — in effect, laying the groundwork for how policymakers and manufacturers can manage the deployment of wholesale driverless cars without constricting innovation. Considering many of us like to keep personal belongings in our car, the allure of the private car could hold sway for a lot of people — especially commuters who can get a jump-start on work without having to watch the road. It’s not so implausible that consumers are willing to pay extra for the flexibility of being able to travel when, where and with whom they want — without compromise. An article published by Yale points out that while ride-sharing has soared in popularity, it hasn’t directly dissuaded people from buying cars for this very reason. The “shared autonomous” firms of the future would do well to ensure that they can “user integrate” consumer preferences whenever they pick up a new rider. Making the autonomous vehicle feel “owned” is a great way to bridge this gap, and it can be as simple as a Bluetooth integration and content sync. What If You’re Too Far Away? Waymo and General Motors are set to test their pilot programs in select urban and suburban areas. After all, 81 percent of America’s population lives in areas that are dubbed “urban or suburban.” But what about rural settings, or even remote suburbs? A driverless cab might arrive in just minutes in a densely populated area, but it might not be as readily accessible for those living in areas where houses can be miles apart. The automobile has made it easier for people to live on the outskirts, enabling folks to leave at the drop of a hat. Those living in rural outposts may not be keen on relinquishing that level of control, even when driverless cabs are ubiquitous in cities. On the other hand, more people might be apt to live in remote locales if a robot can schlep them to work every day. That could mean more emigration to rural areas and thus higher demand for driverless cars. But a policy brief from UC Davis warns that without proper oversite, self-driving technology could increase suburban sprawl, which was already spurred by the invention of the automobile. This is especially true in places like California, where sprawl is a huge point of contention among developers and public officials. The policy brief reasons that if passengers can work or rest more during their commute, then they’ll likely be willing to travel further. As a result, affordable housing developments will be on the rise. That’s a win for housing, but a loss for a decreased eco-footprint. In fairness, there’s another cultural phenomenon that ought to be called out: Since 1983, fewer and fewer people have been getting their drivers licenses. To understand why this is happening, the Transportation Research Institute at the University of Michigan conducted a survey of 618 respondents, ages 18 to 39. They found the three main reasons people forewent getting their driver’s licenses were busy schedules, the cost of owning and maintaining a car, and the ability to get rides easily from others. It’s important to note that predictions, however researched, shouldn’t be confused with conclusions. The one thing we can say for sure, however, is that the culture of tomorrow’s automobile won’t be a carbon copy of what it is today. Haden Kirkpatrick is the head of marketing strategy and innovation at Esurance, where he is responsible for all initiatives related to product and service innovation. Haden is an innovator writes about how smart technology—from IoT to machine learning to self-driving cars — will impact the insurance industry. To view Esurance’s car insurance options, click here.